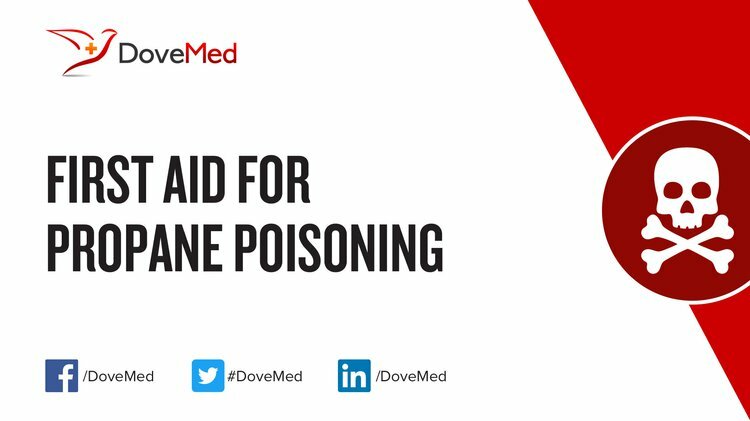 Propane Poisoning is the accidental or intentional intake (swallowing or breathing-in) of any product containing the compound. What are the Causes of Propane Poisoning? What are the Signs and Symptoms of Propane Poisoning? The signs and symptoms of Propane Poisoning can vary from one individual to another. It may be mild in some and severe in others. Several systems of the body may be affected. How is First Aid administered for Propane Poisoning? Who should administer First Aid for Propane Poisoning? First aid for Propane Poisoning is administered by healthcare professionals. What is the Prognosis of Propane Poisoning? How can Propane Poisoning be Prevented? Rossi, R., Suadoni, F., Pieroni, L., De‐Giorgio, F., & Lancia, M. (2012). Two cases of acute propane/butane poisoning in prison. Journal of forensic sciences, 57(3), 832-834. Liu, W., Shan, L. P., Dong, X. S., & Liu, Z. (2014). Toll-like receptor 4 implicated in acute lung injury induced by paraquat poisoning in mice. International journal of clinical and experimental medicine, 7(10), 3392. Peng, F. M., Jiang, D. Y., Ruan, H. H., Liu, H. Q., & Zhou, L. P. (2010). Pathogenic investigation on a food poisoning induced by Vibrio parahaemolyticus. Prev. Med. Trib, 16, 746-747. Timperley, C. M., Bird, M., Green, C., Price, M. E., Chad, J. E., Turner, S. R., & Tattersall, J. E. (2012). 1, 1′-(Propane-1, 3-diyl) bis (4-tert-butylpyridinium) di (methanesulfonate) protects guinea pigs from soman poisoning when used as part of a combined therapy. MedChemComm, 3(3), 352-356. Saggio, G., Taoufik, M., Basset, J. M., & Thivolle‐Cazat, J. (2010). Poisoning Experiments Aimed at Discriminating Active and Less‐Active Sites of Silica‐Supported Tantalum Hydride for Alkane Metathesis. ChemCatChem, 2(12), 1594-1598. Smith, F., Augsburger, M., & Varlet, V. (2013). Accuracy profile validation of a new analytical method for propane measurement using headspace-gas chromatography–mass spectrometry. Journal of analytical toxicology, 38(2), 73-79. Lutterloh, E. C., Iqbal, S., Clower, J. H., Spiller, H. A., Riggs, M. A., Sugg, T. J., ... & Thoroughman, D. A. (2011). Carbon monoxide poisoning after an ice storm in Kentucky, 2009. Public Health Reports, 126(1_suppl), 108-115. Boorugu, H. K., & Chrispal, A. (2012). Cartap hydrochloride poisoning: A clinical experience. Indian journal of critical care medicine: peer-reviewed, official publication of Indian Society of Critical Care Medicine, 16(1), 58.